Chinese stocks on Monday saw their sharpest single day decline since 2007 after a renewed sell-off despite government efforts to prop up the market. China’s industrial index fall to a 15-month low adding concerns to the country’s economic health. 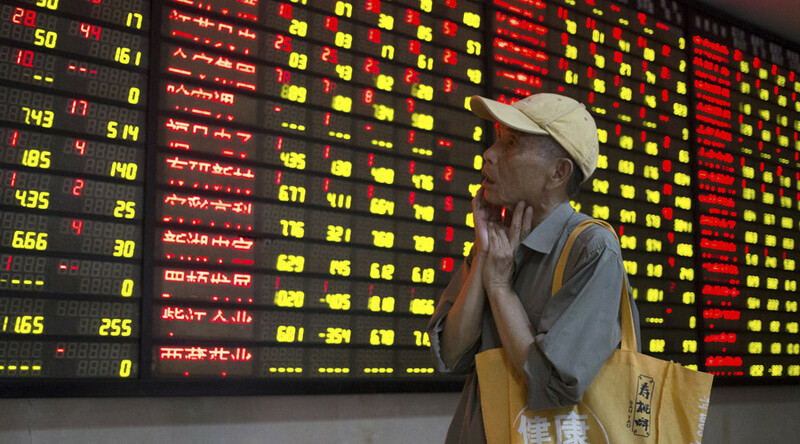 More than 1,500 shares listed in Shanghai and Shenzhen dived by the daily limit. The large fall in Chinese stocks comes after last week’s recovery when they had the longest stretch of gains in almost two months, with the Shenzhen on Tuesday gaining 20 percent from a July low. Investor sentiment was also soured by poor economic data from much lower-than-expected PMI reading that reflects the state of the country’s manufacturing. The early data released Friday showed that manufacturing activity in July was the lowest in 15 months. "A rapid, post-rout rebound in mainland 'A' shares has ended, and the market has entered a stage of fluctuations, with investor sentiment increasingly unsteady," fund manager Yang Delong at China Southern Asset Management told Reuters. Chinese shares started falling dramatically in mid-June with market value shrinking by over 30 percent and losing up to $4 trillion in capitalization in about a month. Then at least 1,430 of the 2,800 companies traded in China stopped trading. To support share prices the Chinese authorities cut interest rates, suspended initial public offerings, relaxed margin-lending and banned large shareholders from selling stakes. The government injected about $14 billion into the markets earlier in July to relieve the collapse.